In Parenting Forward Brandt equips Christian parents to model a way of following Jesus that has an outward focus, putting priority on loving others, avoiding judgment, and helping those in need. She shows how parents must work on dismantling their own racial, cultural, gender, economic, and religious biases in order to avoid passing them on to their children. "By becoming aware of the complex ways we participate in systems of inequal­ity or hierarchy," she says, "we begin to resist systemic injustice ourselves, empower our children, and change our communities." 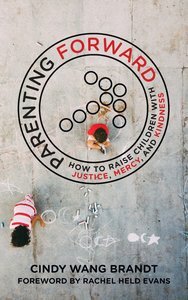 About "Parenting Forward: How to Raise Children With Justice, Mercy, and Kindness"